What a lovely, colorful card, love it! Love the colors and design. Great idea for that stash of ribbons I seem to have so much of. Wonderful way to use ribbons :) Gorgeous, Lucy!! 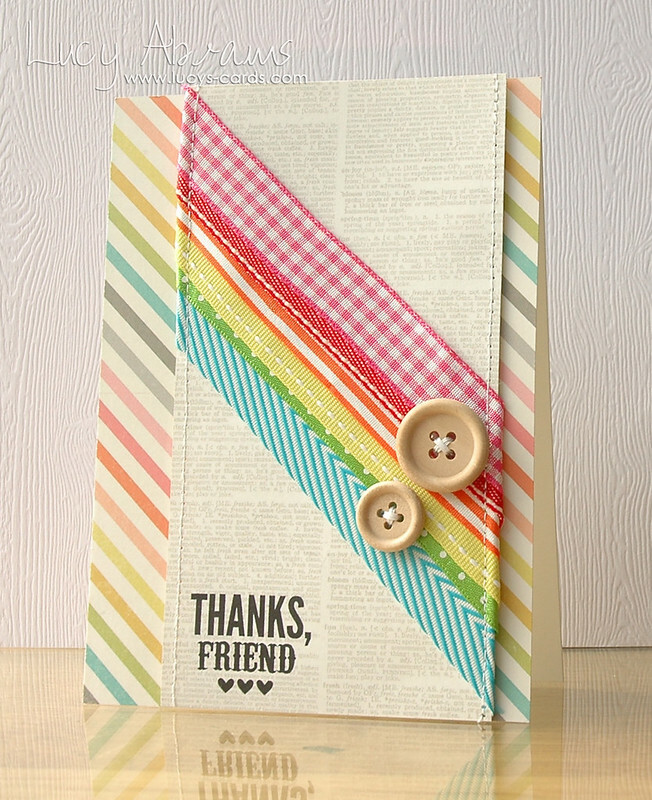 Love this ribbon treatment and the colours are soooo fruity!!! This is gorgeous! LOVE the angled ribbon & added stitching!